With a forthcoming release on witch house stalwart Phantasma Disques set to drop, it’s safe to say Ben Arp is back in the saddle. Following a year long hiatus after the dissolution of his Crunch Pod Media label, Arp’s C/∆/T project (an entity sonically distinct from C/A/T, his most well-known musical incarnation) has found its groove deep in the pocket of the ever widening crossover between the triangles and crosses set and the industrial scene, yielding an excellent EP in The Diamond Center and a slew of remixes for artists on both sides of the divide. We spoke to Ben about hip-hop, finding his muse again and the crossroads where process meets inspiration. ID:UD: Being that C/A/T had already gone through a few different sonic incarnations before you suspended the project, is C/∆/T an extension of that project on an aesthetic level or is it a similarly named but distinct entity? 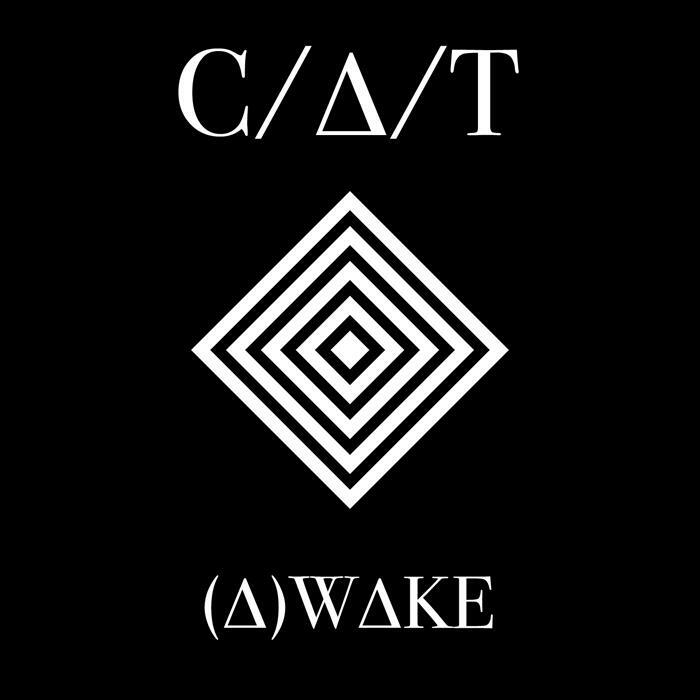 Will C/∆/T have the fluidity of C/A/T? Arp: C/∆/T is definitely a different project than C/A/T. I think I sort of naively thought taking a year off and then relaunching with such a different sound would be enough to differentiate between the two projects. In retrospect, I definitely would have gone with a different project name but it’s sort of too late now, heh. I feel I really painted myself into a corner with C/A/T back in 2009 and that is why nothing really happened for 2 years and then I killed the project. My rule with starting up a darker-edged project again was that I would have no real expectations. I’d write music that I wanted to write and when I had enough songs I liked, release those for free on Bandcamp and potentially have no one really give a damn. I imagine C/∆/T will retain the fluid nature of my previous projects simply because I never want to be one of those artists that stay in their “safe zone” and release the same songs over and over again with different titles. C/∆/T – Slow Burn from C/∆/T on Vimeo. ID:UD: When we spoke to Jeremy from Distorted Memory, he posited that the hip-hop influenced elements of witch house were a pretty foreign concept to most of the industrial scene. As an avowed hip-hop head, do you think those same elements are part of what attracted you to the genre creatively? Do you feel that witch house is a natural meeting point of industrial and hip hop sensibilities? 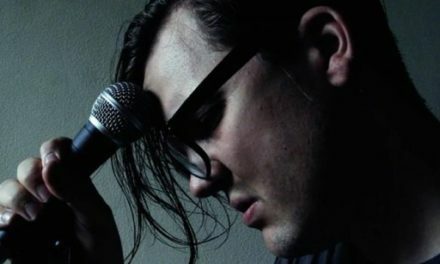 Arp: The combination of hip-hop and industrial influence is what drew me to witch house. I grew up listening to hip-hop and got really big into the underground scene in the early 00s when labels like Def Jux, Anticon, etc. were just starting to blow up. When I found witch house in 2011 it was like discovering the Reese’s peanut butter cup. I was in aural heaven. 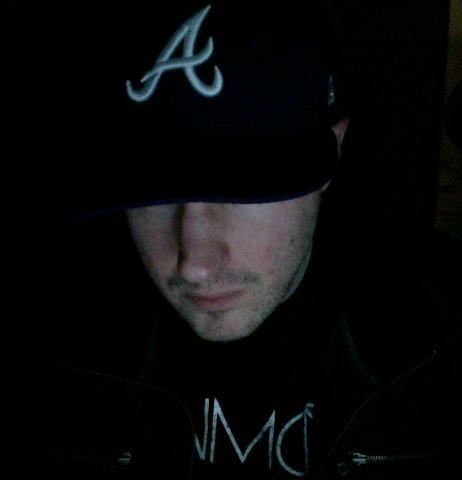 WH had the tempo and drum programming of hip-hop with the darker aesthetic of industrial/goth. Discovering ∆AIMON was what really pushed me over the edge and inspired me to start writing as C/∆/T. I really think they are one of the best examples of how witch house can meld with industrial almost seamlessly. 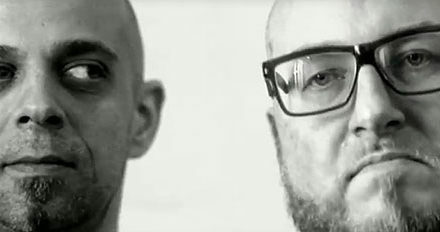 ID:UD: It’s kind of odd in that from a historical and technical perspective hip-hop and industrial have a lot in common, but crossovers between the two have commonly been either very surface level “rapping on an electro song” or the appropriation of breaks or scratches. Beyond witch house, is crossing the two genres of interest to you creatively? Have you ever tried your hand at “straight” hip-hop production? Arp: I’ve never really tried producing straight up hip-hop. I dabbled with a more IDM type approach to instrumental hip hop with some singles I self-released in 2011 as ‘Ben Arp’, but even still those dipped more into glitch and were still pretty darker toned than your average hip hop instrumental. I think if I ever did try to seriously produce hip-hop it’d be more in the vein of DJ Shadow or Blockhead style material especially since I’ve learned to be way more creative with sampling by way of producing C/∆/T. ID:UD: Your first physical release as C/∆/T is on Phantasma Disques, one of the most pre-eminent witch house labels. Was it important for you to cross that divide for an initial release? Do you see C/∆/T as an attempt to “cross the streams” of the two camps, or is it even a consideration at all? Arp: Being asked by Phantasma Disques to do a release was huge. I was floored they were even aware of what I was doing and it was pretty much a no-brainer to put some new material together for them. I’m hoping by releasing an EP via a known witch house label will help cement the new direction I’ve taken as a producer. It’s one thing to self-release a bunch of songs on Soundcloud but it’s another thing entirely to have a physical release marketed to a new audience. I think, even unintentionally, there is a bit of the “stream crossing” going on at PD since M‡яc▲ll▲ also has released on that label and due to the Distorted Memory EP and their split with V▲LH▲LL, we are showing the industrial crowd there is more to witch house than a bunch of weird symbols. I think a lot of people just dismiss WH based on the genre name alone and typically have no idea what it even sounds like. ID:UD: It’s interesting because witch house is so young and still very fluid, and it’s sort of hard to determine what kind of a scene even exists for it. Beyond a few labels, blogs and club nights it still hasn’t solidified culturally. After your hiatus from industrial, was there some sort of appeal to being involved with something less stratified and rife with historical baggage than industrial? Arp: My main goal when I started producing again was to write music with no expectations on my end and no specific genre trappings. I think part of what drew me to WH was how broad the spectrum of sound really is under that genre umbrella. I think constantly worrying about producing something to compete for dancefloor time really started to take it’s toll on me. I’m not much of a fan of dance music in general so it was really foreign to me to try and write in that style. For me, WH meant I was more or less free to spend a session letting the ideas flow and not necessarily have to worry about how the song would do at the clubs or be overly concerned about how it would be performed live. I’ve only been able to make it out to a few WH related events so far, but the whole thing reminds me a lot of the “experimental noise” gigs I used to play when I first started producing in the late 90s. It was a small but really close-knit group of artists that all tended to support one another, and while there was some in-fighting it never really blew up out of control. The handful of WH artists I’ve met or worked with online already have been incredibly supportive. It was a pleasant surprise since I actually expected some resistance as an “outsider” coming into their world but everyone has been really great to work with. ID:UD: Have you encountered any interest in industrial from people “native” to the witch house scene? Do you think there’s an awareness there of the similarities with, say, dark ambient or the experimental noise tradition you’re being reminded of? We remember hearing a rumor about White Ring wanting to work with Grendel when this whole crossover first started bubbling up. Arp: To a certain degree most people I’ve encountered are aware, but mainly tend to ‘name drop’ more of the classic industrial music like Skinny Puppy, Nitzer Ebb, early FLA, 242, etc. Most seem to at least be aware of those types of earlier acts but don’t really appear to be too outwardly aware of what is currently happening today in ‘industrial’. I’m not sure if it’s more of a retro thing or they just aren’t into many of the more current acts operating in the industrial scene. ID:UD: As an artist who also ran a label, you seem uniquely positioned to comment on the role the latter plays in the current musical landscape. Where does the label fit into music in 2012? To your mind what can they still offer that an artist isn’t able to achieve on their own? Arp: I think in general a label in 2012 can be great for new artists, especially those that don’t know how to really promote themselves yet. For more established bands, especially those that don’t care about physical releases, I feel it really is an environment where you don’t *need* a label. I know Mangadrive has done really well for himself since he left Crunch Pod and Caustic is another example of a former CP act that branched out on his own and succeeded with a self-release after leaving the label. Right now, I think it’s possible to reach levels of success on your own if you’re willing to put in the work to do so. Far too many bands I encounter seem to expect to sign to a label and then not have to do anything but write songs, play some gigs and “make a ton of money” which is not what realistically happens. In my case, Phantasma Disques offered me a physical release and exposure to an audience that was just starting to become of aware me. So, while I was and still am content to digitally self-release it was really a win/win situation to go with them on the Rise of the Night Terror release. ID:UD: Has the new sound of the project led to a new workflow? Do you approach a C/∆/T song the same way you approached making C/A/T tracks or is there a new process or processes you’re using to make music? Arp: Oh, it’s an entirely different process now. I’m doing a LOT of sampling now which is something I never really did much of with C/A/T. And I mean sampling in the “building entire songs out of completely bizarre sources” kind of way. I did a lot of the “drop in a movie sample during the break” kind of sampling with C/A/T but that was pretty much the extent of sampling I did back then. There have a been a few songs that I’ve written recently that are almost completely composed of random clips and loops I’ve created out of other sources. I’m also using quite a bit more in the way of effects than I have in almost a decade, so in a way I’m getting back to my more experimental roots. It’s really fun to be in the studio again because I’ll hear something, sample it and try and build a track from that. Sometimes it works and sometimes it is a complete trainwreck and the project file gets deleted, heh. But it’s definitely a more pleasant process for me now since I felt a lot of pressure when I wrote as C/A/T and I think the music really suffered at times because of that. 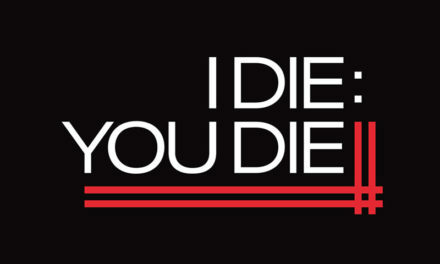 ID:UD: Your new output has thus far been EPs and singles rather than full length albums. Is that a conscious decision, and if so, how does it differ from writing for albums? Is working in shorter forms essential to the character of what you want C/∆/T to be? Arp: It is a conscious decision because the two albums I’ve done that had some sort of theme to them (C/A/T’s The Prisoner and The Great Crisis) both took a few years for me to write. I realized beyond those two albums, I was otherwise releasing “collections” that had no coherent flow and were just vehicles to get two or three “singles” out to people. It just seemed more logical to release more frequently with C/∆/T by dropping a track or two here and there on Soundcloud or Bandcamp and then focus on two or three 4 – 6 song EPs a year. It seems to keep people more in tune with you as a producer if you’re always working on something or releasing something new. I don’t think, for example, dropping Diamond Center and then holing up in the studio for 16 months to release an album in late 2013 would have really helped me that much. The music buying/downloading public have a short memory since they’re getting constantly bombarded with new songs and artists all of the time. I think really spending time working on a few solid tracks and trying to release a single or EP every month or so is really effective in remaining in people’s networking feeds. Another way I’ve seen bands stay relevant between releases is to do a bunch of remixes for other artists and that seems to keep the artist on the minds of the public as well. I may never really do a proper “album” as C/∆/T but would potentially combine several EPs into a physical limited edition to sell at events. Also, I think thematically I’m influenced by things that I feel can be summed up in just a handful of songs and don’t necessarily need to be dragged out into a full album. ID:UD: It’s been a short interval between the two releases and they do share a couple of tracks, but do you see there being any change in sound or direction between Diamond Center and Rise Of The Night Terror? Arp: Not too much of a change from Diamond Center. Rise of the Night Terror was curated specifically for Phantasma Disques so the new material was written with that release in mind. I think with these new songs I tried to get a certain ‘vibe’ going to merge with the previously released songs that were going to make another appearance. The session files were all called “Fever Dream” when I had them in production so I was aiming for a more hazy, almost ethereal sound. Rise of the Night Terror was more of a strong lateral move for me, than the next evolutionary step for C/∆/T. 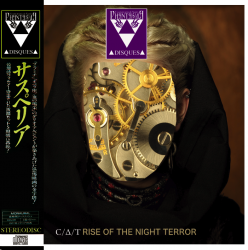 Rise Of The Night Terror can be pre-ordered at Phantasma Disques. Diamond Center and other C/∆/T material can be downloaded by donation at Arp’s site or Bandcamp.